It’s a little hard to believe no one has thought of a pizza and coffee combination as a restaurant concept before, because the two seem like a logical match. 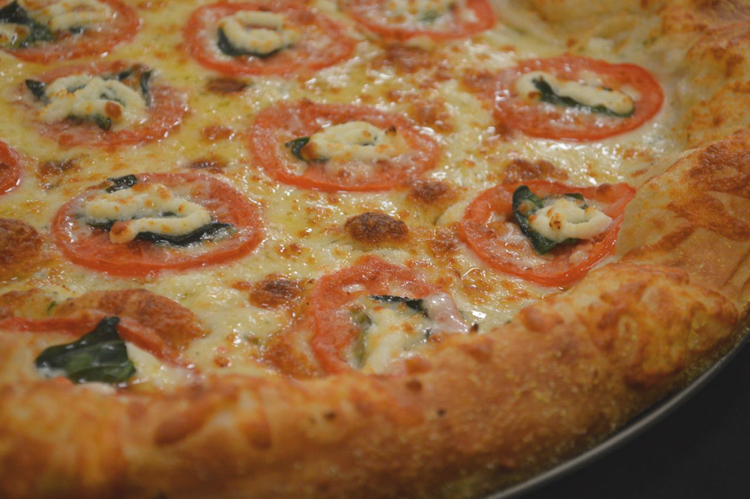 Carbs from your pizza lead to sleepiness which requires a caffeine boost. Enter Joe & Pie Cafe, a new restaurant on Liberty Avenue Downtown run by two immigrants from Kazakhstan, who decided to pair the two American menu staples. “We tried to think of something different, but something we knew that people would like,” says co-owner Kairat Ussenov. The concept of pizza and coffee felt right, but they struggled a bit to find the best way to package the idea. Not everyone wants coffee with their pizza, and vice versa. 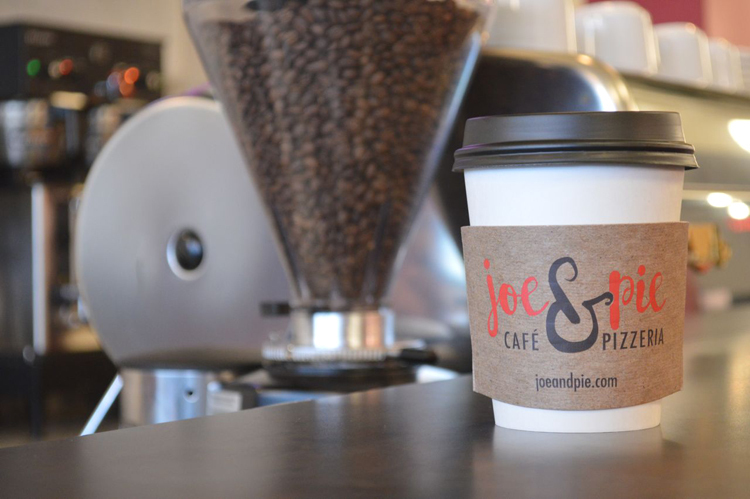 But once they came up with Joe (as in coffee) and Pie (as in pizza), everything sort of fell into place, Ussenov says. Ussenov arrived in Pittsburgh last year to join his cousin Symbat Sarin, who had been in Pittsburgh for about five years. They knew they wanted to start a restaurant, and knew it would involve pizza, but it took a bit of experimentation to arrive at the perfect recipe. And with the vast differences in style and preference among American varieties of pizza, like Chicago’s deep dish and New York’s huge slices, Ussenov is savvy enough about pizza loyalties to avoid categorizing Joe & Pie’s pizza as one specific type. “If I say ‘New York,’ then people will come in and say ‘oh that’s nothing like New York! '” he says. “We try to make sure it’s pizza that anyone will enjoy.” He adds that their dough and sauce are made from scratch, and they’re considering alterations and different toppings per customer requests. In addition to the crepes, omelets and sandwiches on their breakfast menu, Ussenov says he’s planning a breakfast pizza as well. Joe & Pie is open for breakfast, lunch and dinner seven days a week, but the kitchen is closed on Fridays between 12:30 and 2:30. That’s to allow the cousins, who are devout Muslims, to attend Friday prayer services. They’ve been open less than a month, but have already partnered with other local vendors: Paddy Cake Bakery supplies their desserts, and they get their joe from Commonplace Coffee. They’re planning delivery in the Downtown area, and catering as well. 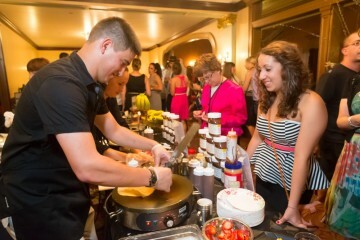 “We love Pittsburgh, and we want to make quality food for people in a hurry,” Ussenov says.